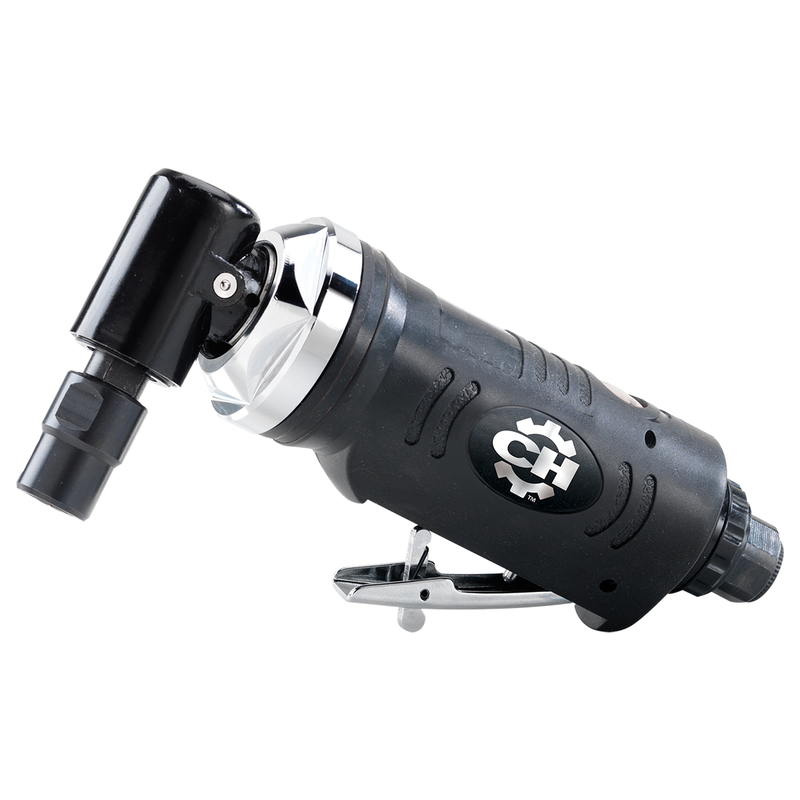 The Campbell Hausfeld angle die grinder (CL254100AV) features a right-angle head for easier access into tight spaces. Designed for operator comfort, this die grinder includes a contoured rubber grip and integrated deflector to adjust exhaust direction. It also includes a 1/4-inch and 1/8-inch collet for maximum versatility.